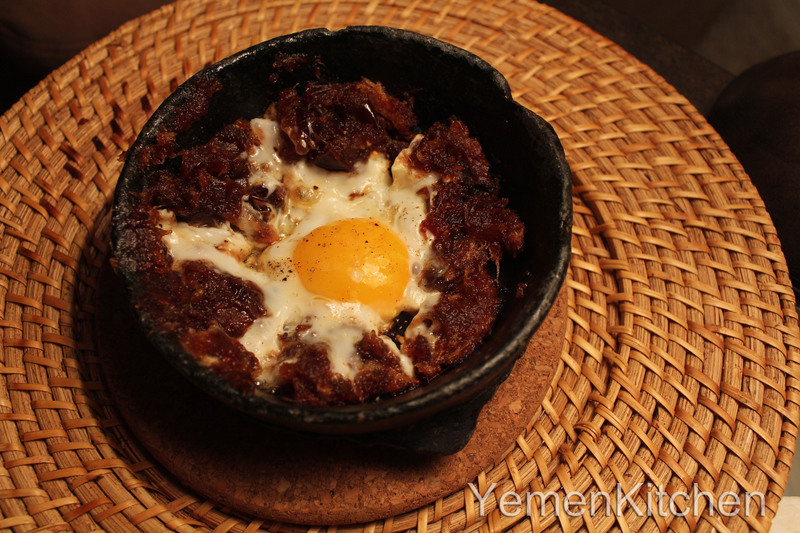 Dates with eggs might not be your typical Yemeni dish that you would run into in a Shaibani or a Hadramout restaurants. Few families do it, and usually served as a specialty breakfast for recently delivered mothers. It is believed that dates and eggs have the richest ingredients that would help in providing the baby with the most nutrition’s during their breast feeding phase. 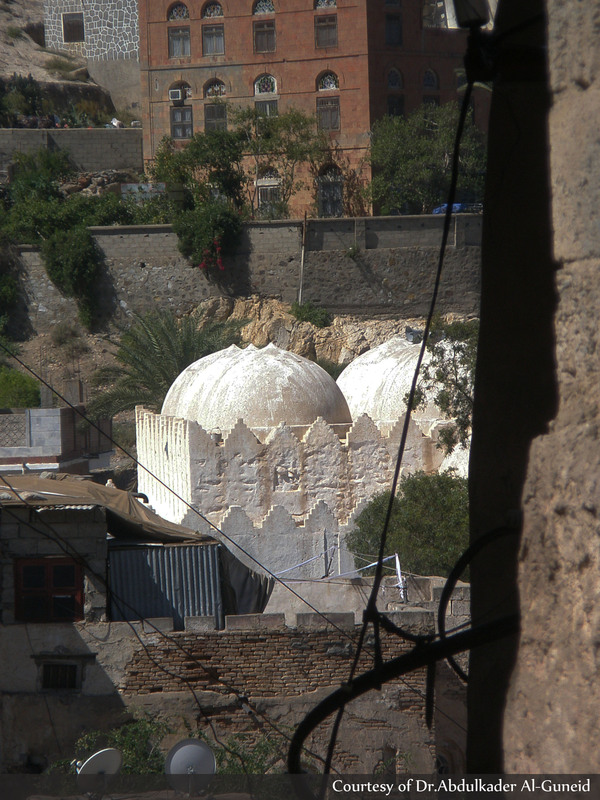 Simple yet intricate motives and washed with white plaster is one of the unique endangered architectural styles in Yemen.The flute shape is a Fattimyed architectural style that can be seen in Egyptian mosques as well. 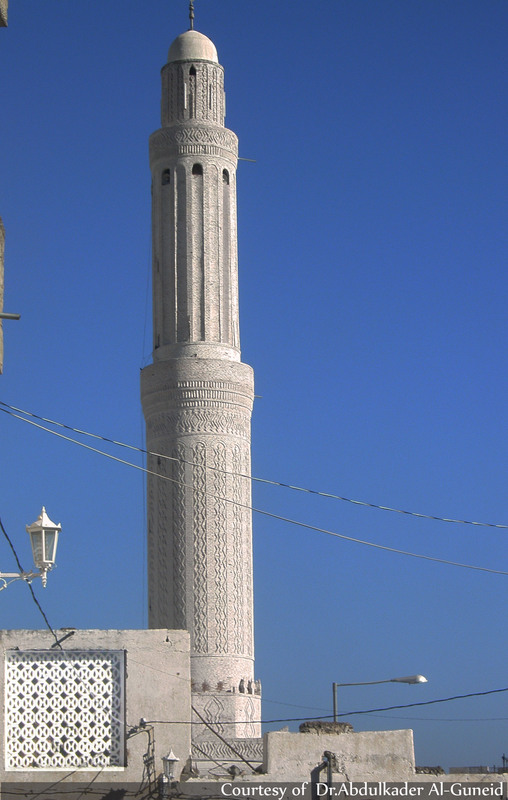 The Mo’tabiaa mosque(مسجد المعتبية) named after Mo’taab the princess, The Ashrafyaa Mosque(مسجد الاشرفية) that was named after king Al-Ashraf,and The Qahira Castle (قلعة القاهرة) are only footsteps from the house, as it was in the heart of the old city of Taiz,and laying under the foot of Saber mountain. This city was surrounded with walls at the time, but sadly huge parts of it are ruined right now, and many new slums started growing within the gated city,using the stones of the original historical walls. 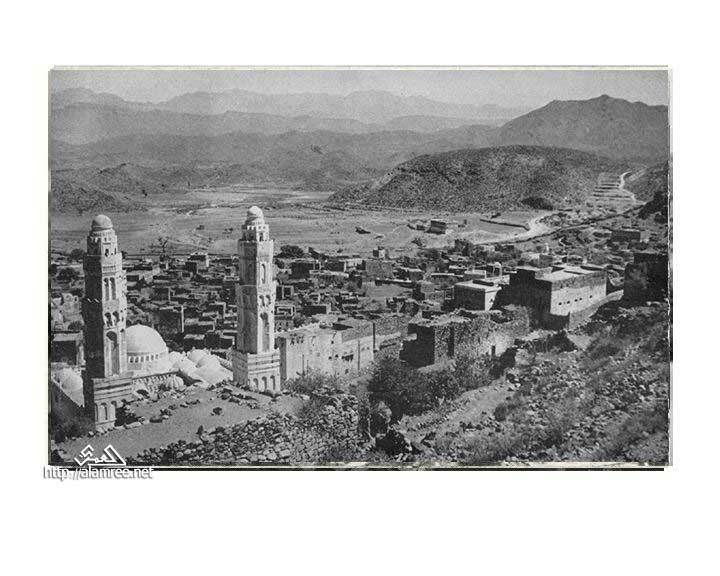 It’s a shame that so much destruction had happened to the older city of Taiz. Elder generations recall that the land part of the mosque property(Waqf-وقف) were sort of an “agricultural parks” for the people.They used to grow crops on them, and where places to catch a fresh breathe while having a walk before sunset. 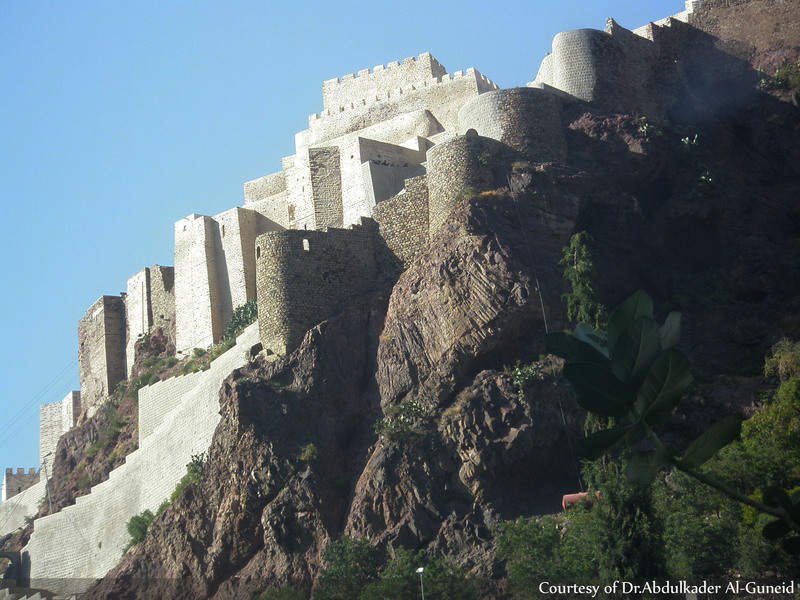 The Rasoliete era (1229-1454 A.D) in Yemen was considered one of the brightest (of few) in Yemen’s history. 225 years was the longest time were one entity was able to rule ALL of Yemen, up to Thofar in Oman, and with Taiz it’s Capital. Arab countries at the times were under two powerfull dynasties,the Abbasides ruling from Baghdad in Iraq,and Fatimmyides,ruling from Egypt.Yemen was shifting its loyalty between both dynasties,and sometimes dividing the country to two or three smaller states,each having their own authority that follows the Khalffiets either in Baghdad or Cairo. 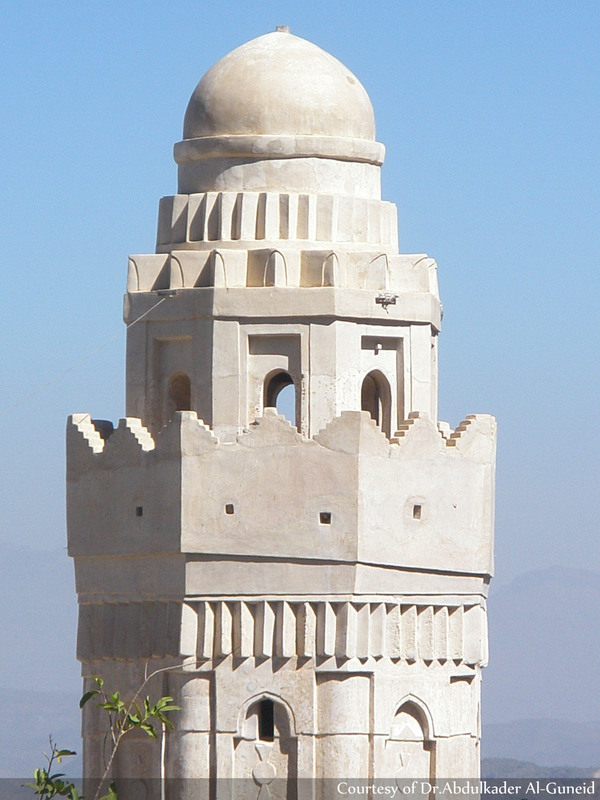 Initially Rasoliete were Kurds who ruled under the umbrella of Abbasside dynasty in Iraq.They came right after the Ayobbides whom,Toran Shah, brother of Saladin Al-Ayobi was one of the famous rulers in Yemen,and whose loyalty was originally for Egypt.He built the Qahira Castle in Taiz. 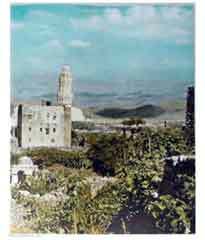 Stories say that he was the one who designed Taiz, naming it at first “THEE-ODAINA” after his doctors recommended its location for its fresh clear air,and nice moderate weather for him,since he suffered a chronic illness.He also was not happy with his deployment to Yemen after living all his life between Damascus,Cairo,and Baghdad,major glamourous cities at the time. However,he created a legacy and managed to get out the control of Fattimyeds in Yemen and prepare for Noor Al-Dien Al Rasooli,the first Rasoliete,whom was Kurdish like him,to rule after his life, all of Yemen. What made Rasolietes era so unique was the government’s interest in education and literature. 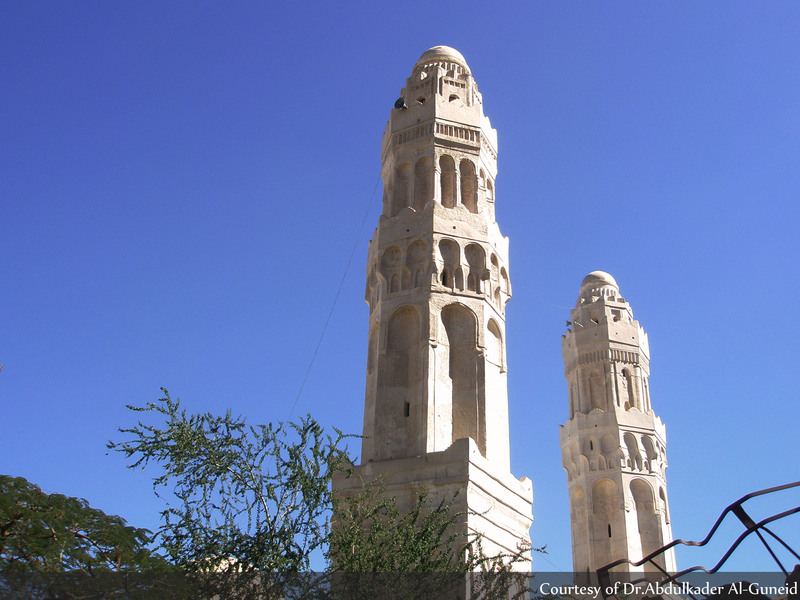 Every Mosque was designed to include a library and a school (Madrasah-المدرسة) where students would have sessions in Arabic literature, religion, math, and even philosophy. The spirit of Rasoliete and their passion for education is still in the people of Taiz. 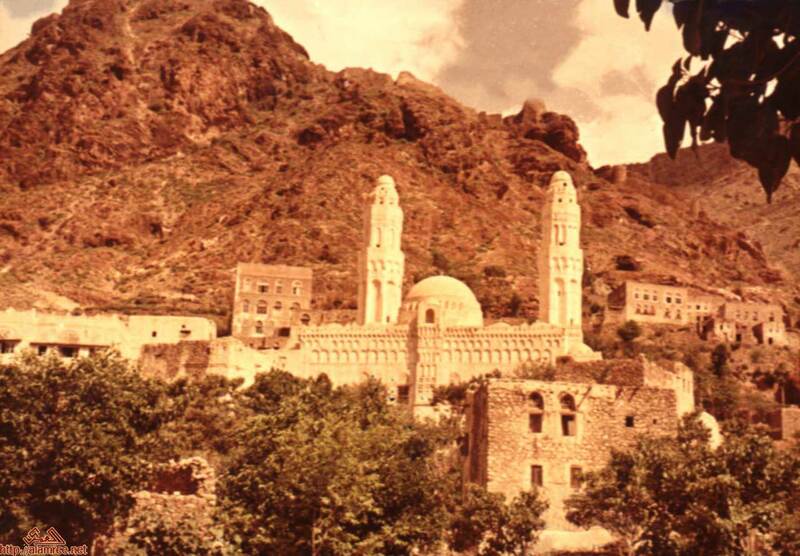 It was deeply imbedded in their culture that today it is considered the most literate city in Yemen, and most of intellectual Yemeni women come from there too. 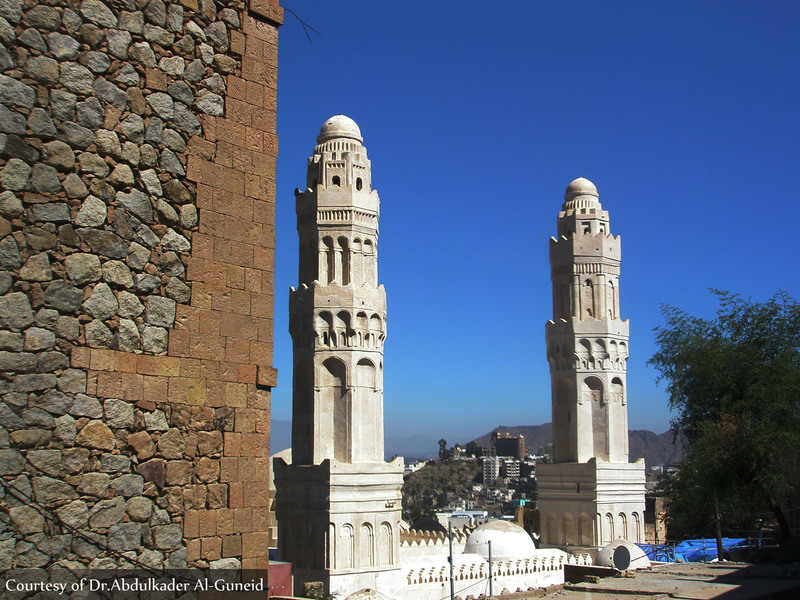 Taiz brought the most brilliant minds of the country and it now proudly holds the title of the cultural capital of Yemen. Later in my college years, I grew a friendship with a Kurdish Iraqi friend, who once in our long talks about native food of our countries, she told me that they also have a meal consisted of dates with eggs, and that it was also served as a specialty food for new moms, or guests! 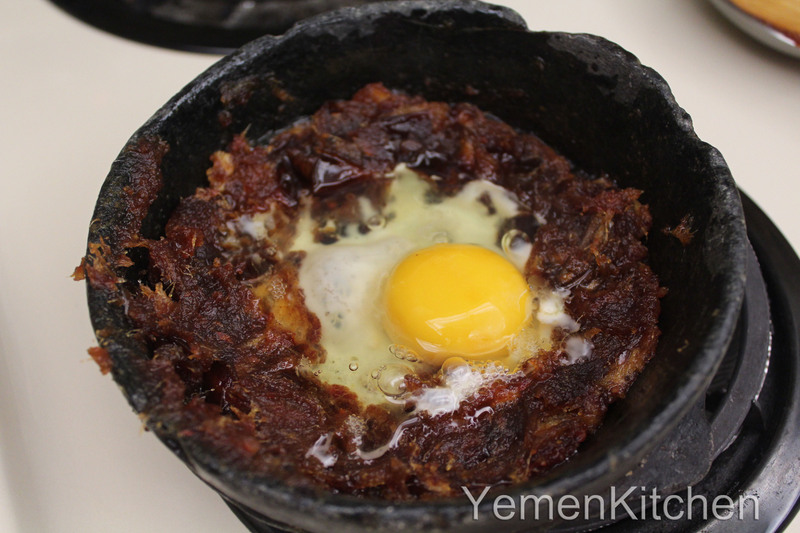 My astonishment and excitement was more than anyone could believe, as growing up in Yemen, I never knew any of my school piers, or neighbors or closely anyone but my family who knows that meal, except later on in my life, I found my mother in-law knows this recipe too. 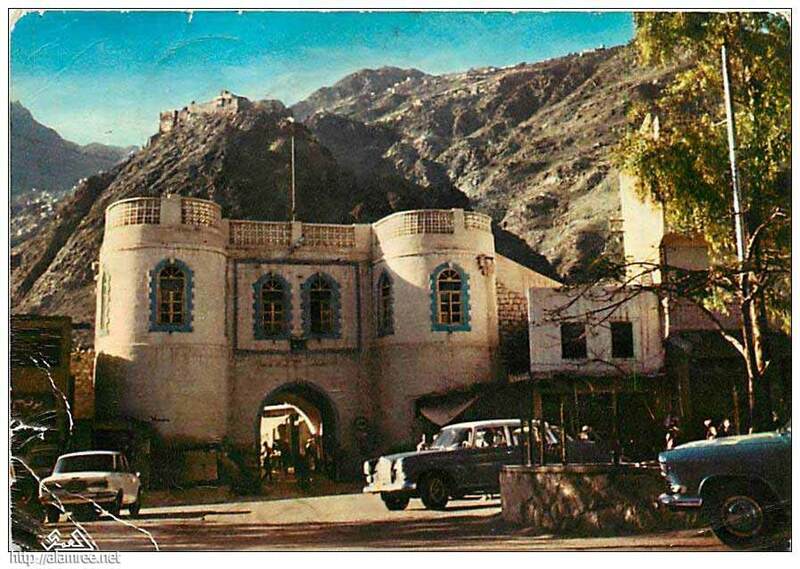 Even my dad recalls an adventure trip of his own in 1964 to Aden, when it was still a British colony. He remembers he was in a pick-up car with half-dozen people traveling, and then something happened to the car right before Al-Rahida village (one hour away from Aden) and needed to stop. In that remote area there was nothing served by the villagers for dinner but eggs and dates so he offered making that dish, who nobody knew it existed.Thirty years later,he met one of those travelers in a complete incident and he reminded him of that dish that he made.Needless to say how much he loved it. 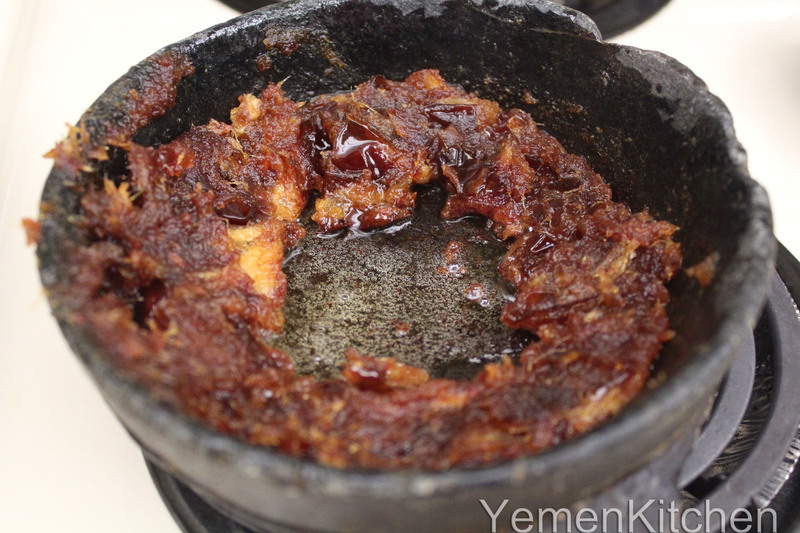 So what is the story behind this one of best hidden secrets of Yemeni food? 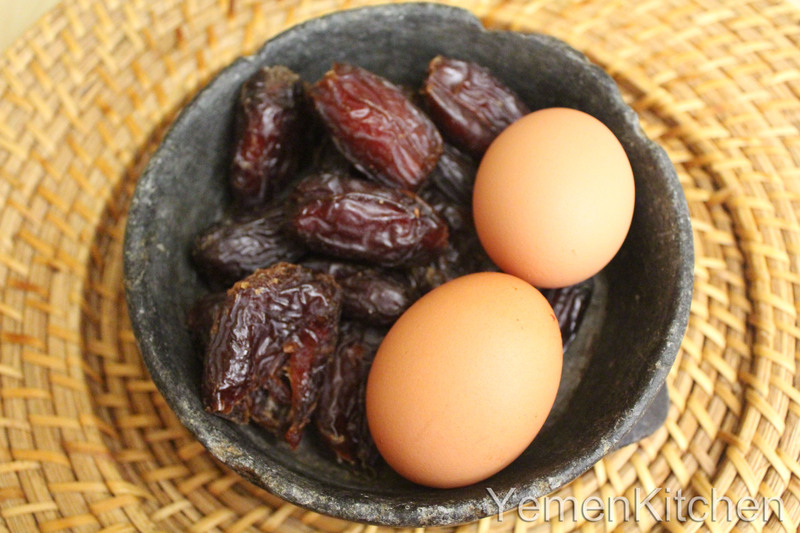 Eggs and dates is a common meal in Iraq and Iran.ofcourse it must be, both of these countries are famous of their top quality dates around the world! This meal could found its way through Rasolietes ruling who,as Kurds, came to Yemen with all their customs, and foods. 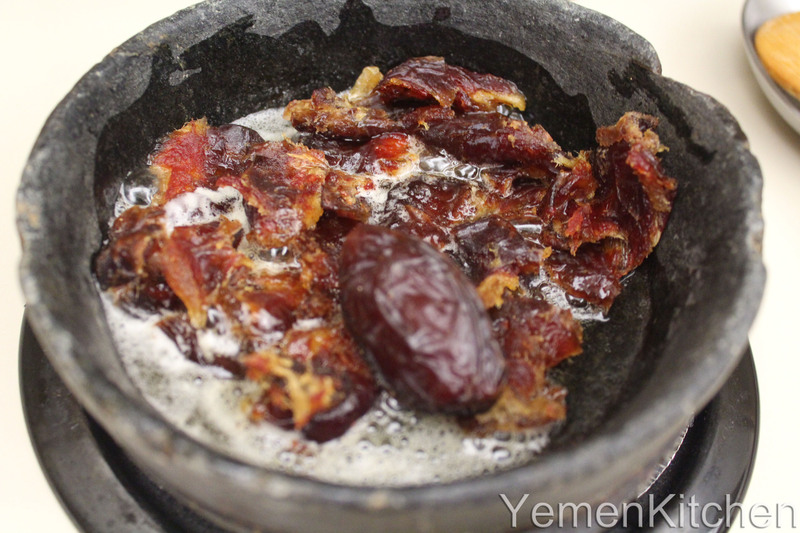 However, as a Yemeni dish, it was flavored and tweaked to fit the Yemeni tasting buds as it’s seasoned with nutmeg and cardamom for extra taste. Families who lived in older neighborhoods in the big Yemeni gated cities must have picked that up, which actually explains why I never met anyone out of my grandparent’s neighborhood who would know it! Stone dish makes an extra flavor to it as it slowly transfers the heat to the dates and builds up a sweet crispy layer at the base of the dish,which I love digging at the end of the meal as an extra treat after a sweet,heart warming meal . This Recipe is very simple, easy to re arrange the ratio of dates to eggs depending on wther you like it more sweet or savory and calls for three main ingredients; and served with warm bread. -First heat the stone dish and put the butter in until it melts completely. -Add the dates and start making a purée or until it becomes completely soft and combined together like a dough. -Make a hole in the center and add the eggs. There are two ways to do it, either by whisking the eggs in a separate dish then pour it to the center or break the eggs directly. As for me, I prefer the second one, maybe because this is how my aunt used to serve it to us on our Friday visits.